Our vibrant colour range lets you choose the case that suits you, safe in the knowledge that each one offers advanced impact protection and unhindered user experience, thanks to tech21's unique FlexShock™ material. 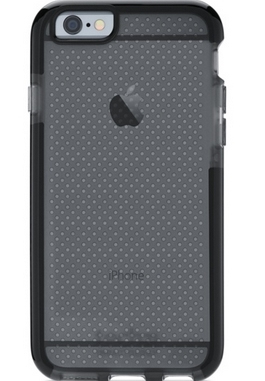 The Evo Mesh case for iPhone 6 Plus and 6s Plus is ultra-thin and super-lightweight, offering 2m drop protection. Available in a range of different colours, the Evo Mesh lets you match your case to your own unique style. With FlexShock™ the Evo Mesh Case is up to 30% slimmer and 60% lighter than other cases and offers advanced impact protection from drops of 2m/ 6.6ft. Featuring a stylish mesh pattern, the Evo Mesh for iPhone 6 Plus and 6s Plus provides a secure fit and feel and gives comfortable and precise access to all ports and function buttons. And thanks to FlexShock™, the case will never interfere with signal quality, Wi-Fi or sensors. Lifetime case warranty included. Conditions apply.